D2 Turbo Low-voltage, Domestic Sliding Gate Motor. Prepare for your sliding gate to be turbocharged. 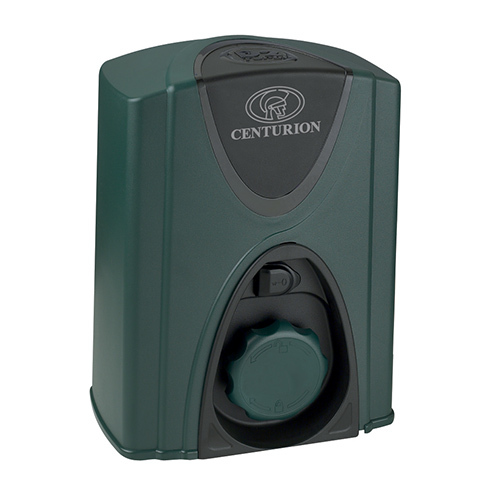 A 12V DC battery revs the CENTURION D2 Turbo domestic sliding gate motor up to 9000rpm so it’ll move gates weighing up to 250 kilograms at up to 24 metres per minute. Now that’s fast! Sleek, strong, stylish – and even eco-conscious – this CENTURION has it all. Turbo speed for greater security and convenience. Very easy to install and set up, saving you time and money. Dedicated Solar Mode – allows you to disable the Mains Fail buzzer when using solar power. Modular components clip together for easy maintenance. Now with robust steel pinion – can be easily retro-fitted and ensures reliable operation.